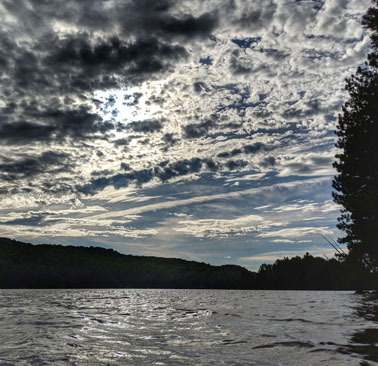 Grace Lake, Ontario. Photo : LKS White. 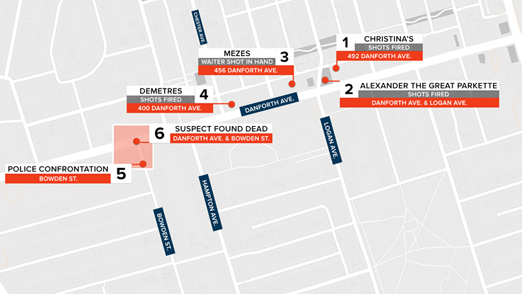 The long and short is that around 10 PM this past Sunday evening the 29-year-old Faisal Hussain, who lived with his parents in a seventh floor apartment in the Thorncliffe Park high-rise neighborhood some three kilometers away, suddenly started shooting people near the Alexander the Great Parkette on Danforth Avenue. 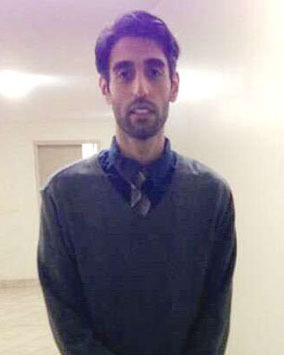 Shortly after Toronto police had identified Faisal Hussain “a news release was sent out to select media attributed to the ‘Hussain Family’.” It expressed deep grief and regret over what Faisal had done, and explained that he had struggled with mental health issues for years. 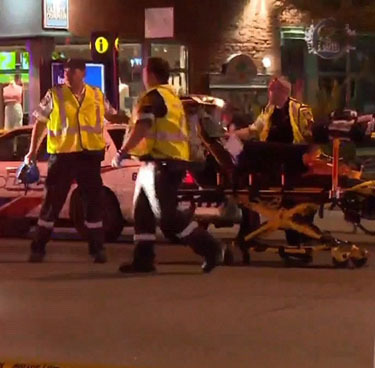 Emergency measures professionals attend to shooting victims late Sunday evening in Toronto, July 22, 2018. Both the Toronto police and the office of federal public safety minister Ralph Goodale have said that, so far, there is no evidence of the sort they find convincing to sustain the ISIS claim. At the same time, the most sensible and constructive view I’ve stumbled across is a tweet from former Ontario NDP premier, federal Liberal interim leader, and longtime Toronto resident Bob Rae :? 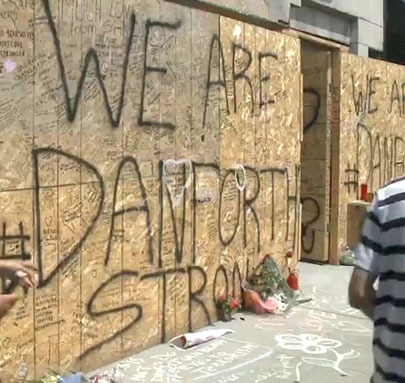 “No contradiction between reports ISIS is claiming credit for Danforth attack and stories that shooter had history of mental illness, and that guns are a problem.? It’s not a game of either/or.? Terror preys on vulnerable people and weak laws.” (6:27 AM —? 25 Jul 2018). What is it about the Alexander the Great Parkette at Danforth & Logan that attracted Faisal Hussain? I have lived in Toronto most of my life (and I’m now … into my 70s, say). And it is similarly easy enough for me to believe that someone called Faisal Hussain, especially if he has struggled with mental health issues, might have trouble understanding just who and what he is in the enormously and laudably but also somewhat puzzlingly diverse Toronto global city of 2018. It is also easy enough for me to believe that the Torontonian Faisal Hussain, who looks out so mournfully from an apparently family-provided photograph now in circulation, might be attracted to some “jihadist” (aka “deviant”?)? message on the world wide web, from Islamic State, ISIS or ISIL or Daesh or whatever. And then, without any direct organizational connection that would impress local police or federal public safety officials, something he took from ISIS (and related) arguments online may have finally helped inspire Mr. Hussain to walk out along the Danforth in the east end of the old city of Toronto on a Sunday summer evening, and start shooting passers-by. Bob Rae is not the only public figure to raise this self-invented “jihadist soldier” possibility. And there are a few still largely unconfirmed reports that arguably point in similar directions. Faisal Hussain’s tragic journey along the Danforth in Toronto, Sunday evening, July 22, 2018. Thanks to City News. Even if local police and other investigators finally fail to confirm reports of Mr. Hussain’s visits to ISIS websites and so forth, there are broad hints about political motivations in the particular urban geography of his destructive? death-walk last Sunday night on the Danforth. 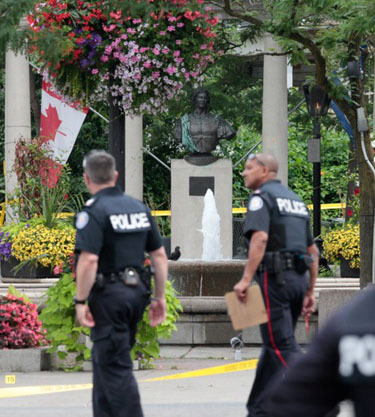 He started his rampage close to the Alexander the Great Parkette at Logan and Danforth. This marks a local Toronto bow to the ancient “Western” (and modern “Christian”) Greek culture of the Mediterranean in the Near and Middle East — longstanding rival to the “Islamic” Turks and Arabs of the old Ottoman Empire and beyond. What finally happened can at least be interpreted as Faisal Hussain attacking the Christian West (in Greektown Toronto) on behalf of the Islamic Middle East (in the high-rise inner suburbia of Thorncliffe Park). Talking about the real complicated story of the global city in Toronto today … ? 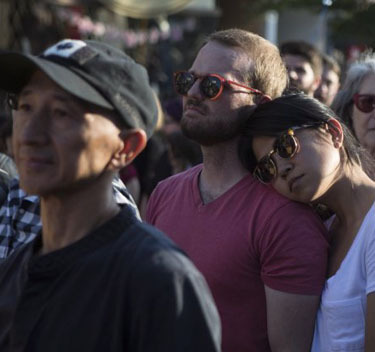 At candlelight vigil for brave victims of Danforth shooting in Toronto, Wednesday 25 July 2018. Like many other city residents, I feel very strongly that something very firm? must be done about the almost unprecedented gun and other killing in Toronto this year, without really having much of a clear idea about just what this might be. One small hope for future improvement does strike me for the time being. Almost all the various aspiring Toronto establishments of the present, right or left, are still trying hard not to talk about many of the painful truths in this wonderfully diverse new global city. It may be as well that finally connecting with the real complicated story of just why Faisal Hussain did the utterly appalling things he did last Sunday evening can help reduce the chances of further human disasters of this sort. The challenges of doing this without seriously stimulating too many multicultural antagonisms and worse are no doubt vast. And the city’s current leadership has (perhaps wisely enough) typically viewed evading and ignoring these challenges as the most sensible policy. We may, however, have reached a point in the growth of almost everything where this kind of leadership will no longer work.